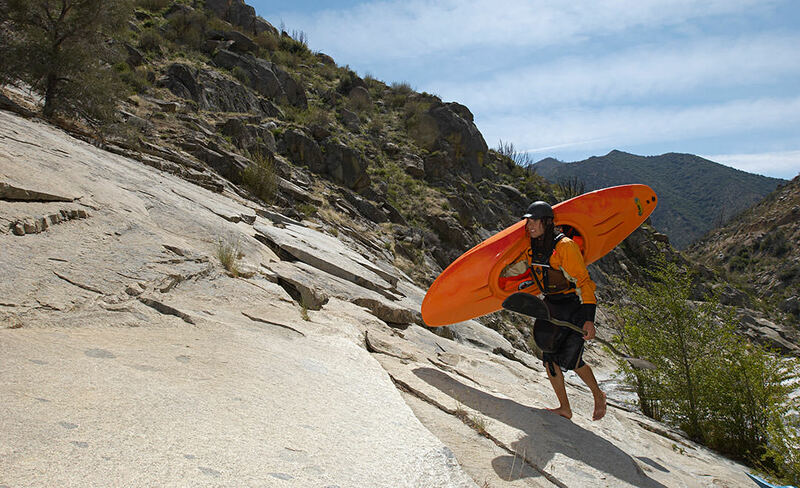 If you’re new to kayaking, or even if you’re not, there is a decent chance that you’re risking back injury each time you lift that kayak out of the water and off your vehicle. I know what you’re thinking, lifting one of these is a pretty simple and straightforward process. And yeah, that’s true if you’re doing it correctly. But here’s the thing, we all end up feeling tired after being out their paddling for the afternoon, and when we’re tired we get sloppy and lazy. I totally get it – after all that time out paddling, you just want to get the kayak to the car and get home to relax. So, maybe you’re in such a hurry that you rush from the water to the car without really thinking about what you’re doing. Well, that’s how back injuries happen, even to the most experienced paddlers among us. Even if you think you’re cool, just take a moment to read our tips below and double check that you’re doing everything that you can to prevent injury out there. The first step is to lift up your kayak vertically and stand it up either on the bow or the stern. It doesn’t matter which, so go with whichever is the easiest for you. To do this lift, you’ll want to get your grip under the cockpit rim and lift with your knees. Now, if you’re putting it on it’s stern, you just use both hands to rotate it upside down. And now, walk it to a vertical position. If you’ve followed the instructions above, then you’re now standing facing the inside portion of your kayak. Keeping your hands on the rim, rotate your body so that you get either your right or left shoulder in the cockpit. Which shoulder should you choose? The one that you want to carry the kayak on! So, if you’ve got your right shoulder in the cockpit, your left hand stays on the rim and your right hand goes goes above your shoulder (or vice versa if your left shoulder is in the cockpit). All you have to do now is take a few steps forward (with your hands in place as instructed above) and you should feel the kayak slowly falling towards you as you walk. As it falls into place, you can use your hands to guide it to the proper position on your shoulder. It should end up horizontal and on your shoulder. Chances are high that the kayak is not exactly where you need it to transport it to your vehicle. So, you gotta reposition it a bit with your hands to get it in a position that is balanced and comfortable for you to carry. You may even want to have your PFD on your shoulder to cushion the weight a bit for more comfort. We suggest that you practice this with an empty, lightweight kayak instead of one that is loaded down with your gear. We also recommend that you practice it on both shoulders cause you never know when your dominant shoulder might get injured and make it more difficult for you to carry that kayak. Of course, if you get a wheeled kayak carrier, then you can avoid this back injury risk all together!